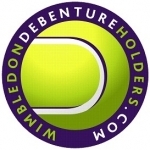 www.WimbledonDebentureholders.com is a specialist boutique website set up by Debenture Holders for international tennis fans with tickets direct from the owners. Debenture tickets allow all day access to exclusive Debenture lounges. Wimbledon Debenture Holders are specialised in knowing everything there is to know about visiting the Championships.